Protein Balls Are In and They’re _ Awesome. Protein balls are my favorite kind of between-breakfast-and-lunch meal. I say meal because two of these babies can rack up a great deal of (awesome) calories. Protein balls are delicious and packed with nutrients. They are easy to make and super convenient for travel, office and driving. I love making them because there really is no recipe. 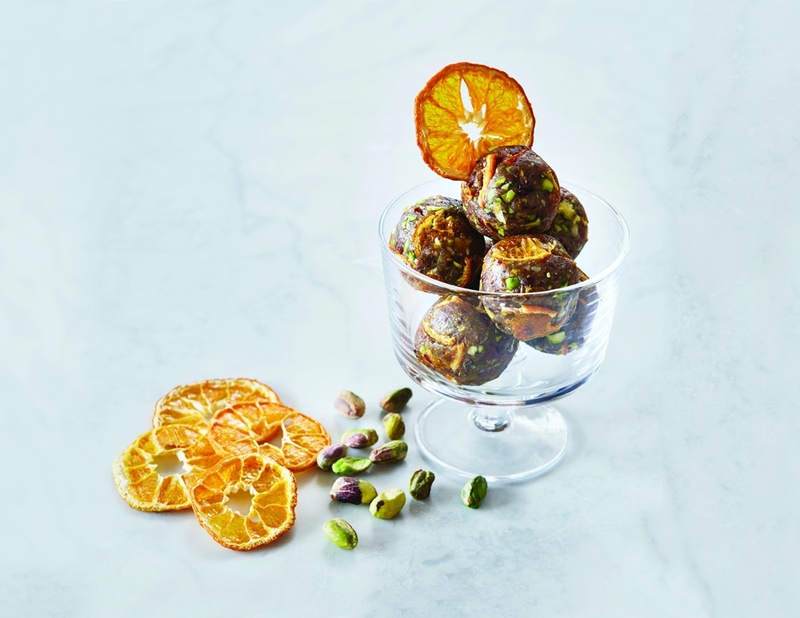 Here at the Dardimans California Crisps office we have a pantry full of healthy snacks, and right before our last photoshoot with Mittongtare Studio, I made some protein balls using our mandarin crisps. I would like to take a moment and say… they were DELICIOUS. Here is my ingredient list. First, I put all ingredients in a food processor. I still wanted the crunchy texture from the nuts so I didn’t let the mixture get too pasty. I then made about 15 large balls and rolled them in our mandarin crisps. They were so good! Stay posted for more protein ball and bar recipes using our delicious crisps.